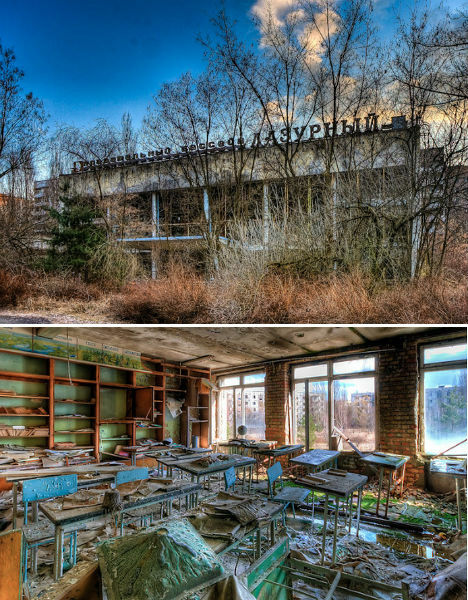 Founded in 1970 as a home base for Chernobyl nuclear power plant workers and their families, Pripyat is now the world’s most potent symbol of the destructive power these facilities struggle to contain. The small city in Northern Ukraine is an infamous ghost town, abandoned in minutes, with the signs of sudden upheaval visible at every turn. 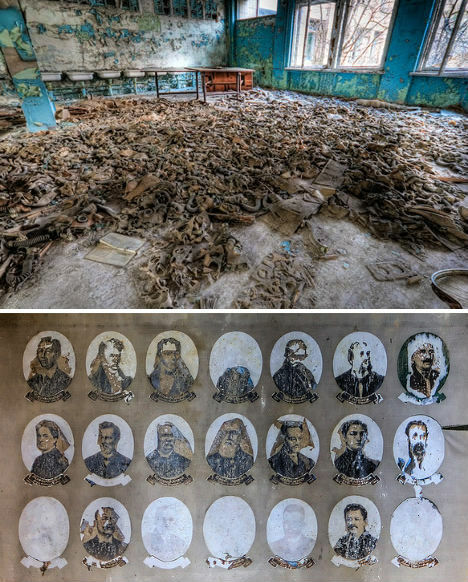 It had a population of about 50,000 before the Chernobyl disaster occurred in 1986. Though still dangerous, the radiation levels have abated enough to allow tours through its streets and some of its buildings. 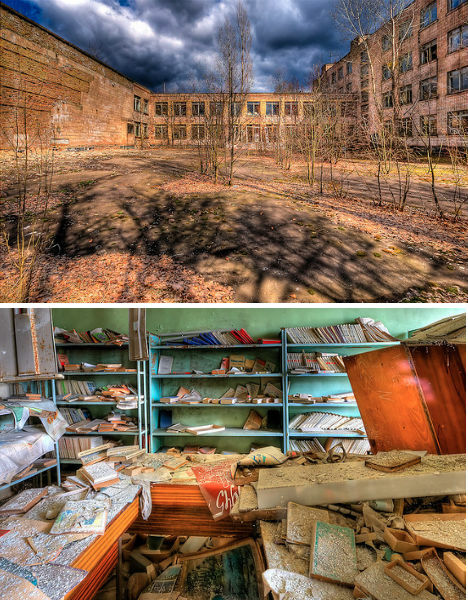 The schools of Pripyat are among its most jarring remains. Sheet music litters the ground near pianos. Books are scattered over every surface of the libraries. Life is frozen to display an odd slice of the mid-1980s, in what would have been a rather unremarkable Soviet town. 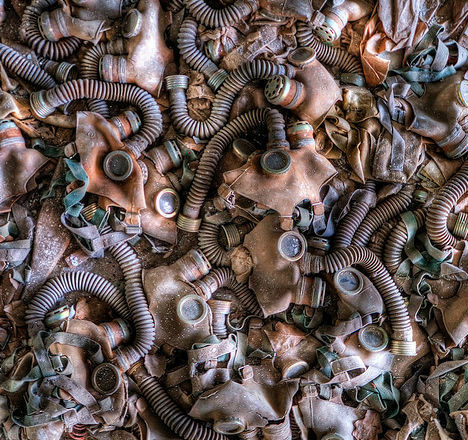 To Westerners and those of younger generations, the sight of gas masks littering the floors of the schools may be the most jarring of all, but anyone who lived through that time in a Soviet country may remember gas masks being part of regular drills. To these children, they were as ordinary as pencils and paper. 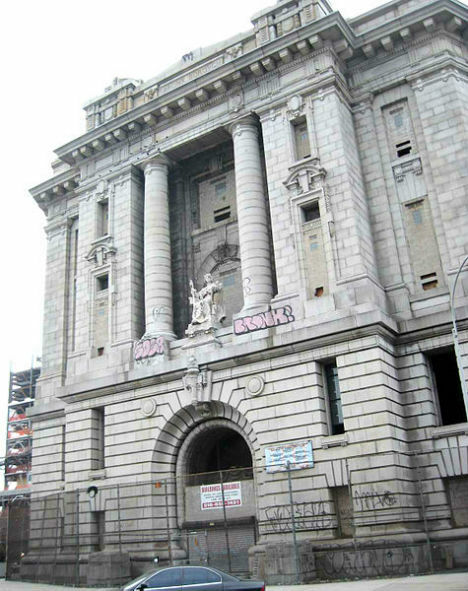 A Beaux Arts beauty in the Bronx borough of New York City, this courthouse was built between 1905 and 1915 and housed Supreme, Surrogate’s and County Courts until 1934. 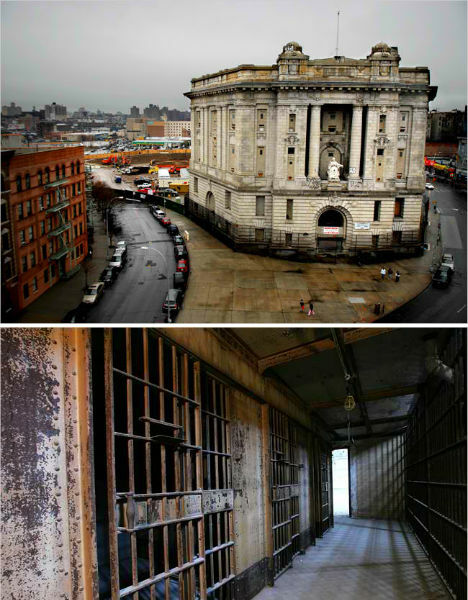 It was occupied by the Bronx Branch of the New York City Criminal Court until 1977, and served as home base to various community groups in the ensuing years between periods of abandonment. Today, however, it’s once again empty. Though being made of granite and marble protects it from deterioration to some degree, it’s still showing signs of disrepair. Because it was designated as a historic landmark in 1981, it can’t be destroyed. It went on the market for just $130,000 in the 1990s, but the estimated cost of refurbishing its interiors was over $40 million. But it won’t be empty for much longer. The cells of the courthouse are set to be turned into school rooms, as the building becomes an 800-student charter school. 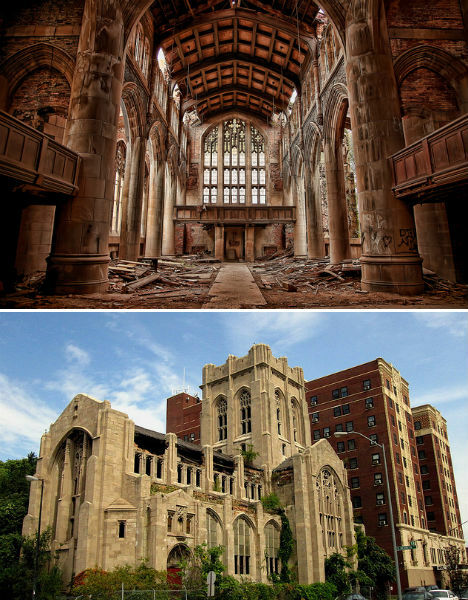 City Methodist Church is one of the most striking abandonments in Gary, Indiana, a city that is still populated with over 80,000 residents but largely retains the feel of a ghost town. Located in the southeastern portion of the Chicago metropolitan area, Gary lost a large percentage of its population in a damaging combination of white flight, economic distress, skyrocketing crime and the decline of the steel industry, which was a major source of jobs. 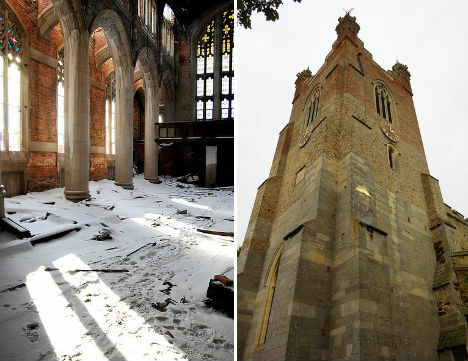 The church was among the buildings in downtown Gary that were damaged by a fire in 1997. 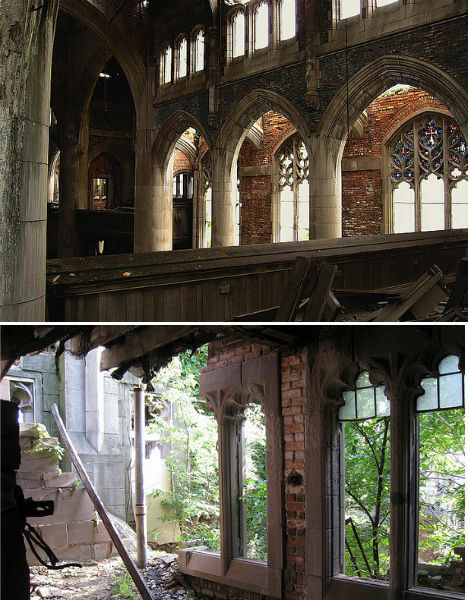 Abandoned since 1975, the church is nine stories tall, and has been featured in many movies including Nightmare on Elm Street and Transformers 3. Though most of its stained glass windows have been looted or broken, the ones in the highest reaches of the church still remain.